State laws require that birth certificates be issued for all births in the U.S., according to the Centers for Disease Control and Prevention. However, it isn’t uncommon for mistakes to be listed on these and other official documents. Parents normally receive a child’s birth certificate from that state’s Department of Vital Records within weeks after the birth. If you notice a typographical error in the spelling of your child’s name on this or any other official document, you should immediately take the steps necessary to make the correction. Check your child’s birth certificate for spelling errors. If you identify an error, make the necessary corrections in the designated section found on the back of the birth certificate where there is also a place for the birth mother to sign. Most birth certificates include a section for correcting errors. A parent must submit the birth certificate together with a copy of a valid, government issued photo I.D. such as a driver’s license or U.S. passport to that state’s Department of Vital Records as soon as possible. 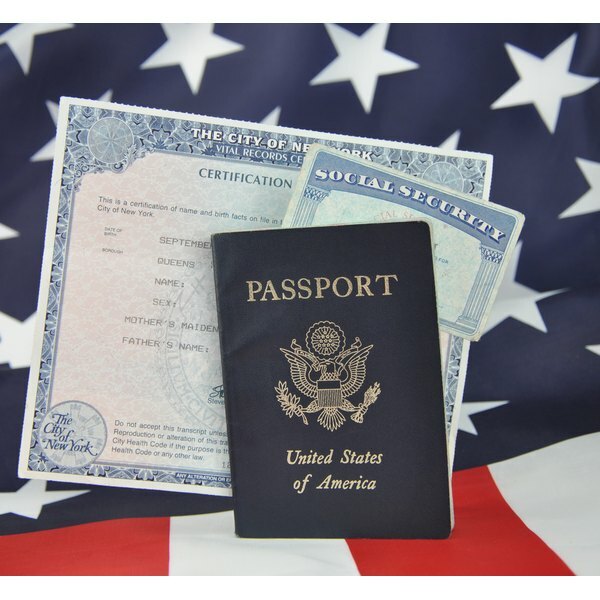 Documents confirming identity must be originals or copies certified by the issuing agency. Complete the appropriate section for making minor corrections to the birth certificate in the presence of a notary if you make spelling changes to your child’s name after his first birthday. Once a child is older than one year, both parents are usually required to sign on the back. At least one of the parents listed on the birth certificate must submit a copy of a valid photo I.D. along with the corrections request. Talk to someone in the record’s office at the hospital where your child was born. If the hospital made a mistake when submitting the information for your newborn’s birth certificate, it can submit a request to correct the birth certificate. The signatures of the parents will be needed for the hospital to request that the error on the birth certificate be corrected. In some states, a copy of the parents’ marriage certificate, or a copy of one parent’s birth certificate or that of a sibling is required to correct the spelling of a child’s last name. Contact your local Social Security Administration office immediately to report an error on your child’s Social Security card. If you return the incorrect card, you may not be required to complete another application to get your child a corrected card. If you are otherwise changing the spelling of your child’s name, you will need to complete a Social Security SS-5 form. This is the form used to make corrections to a Social Security card. Complete a Social Security SS-5 form if you are otherwise changing the spelling of your child’s name. This is the form used to make corrections to a Social Security card. Submit identifying documents that show your child’s name spelled the correct way. Because a minor child does not yet have photo I.D., the Social Security office often accepts documents, such as copies of medical records, immunization records or day care records that show the child’s legal name spelled correctly. Choose documents that provide as much information about the child as possible, such as his name, birthdate and the names of his parents. Although the specifics of state laws and procedures vary, generally, either parent or a legal guardian can usually request corrections to information listed on a minor child’s birth record.